Well, I’m here to challenge it on a number of levels. When I started attending a fashion school, I have to admit, I was heavily influenced to dress up and wear high heels. What did I get from it, you ask? Well, a couple of bunions and a life filled with unfortunate shoe shopping experiences because of them. True story. Ever since then, I’ve aimed for my footwear style to be practical and comfortable. I now wear what makes sense, not what lasts for 30min. of dancing at the club. In searching for the epitome of everyday comfort and versatility, I found two pairs from Cole Haan that worked perfectly for me. Cushioning - Feel like you’re walking on clouds. Flexibility - Who wants a stiff sneaker? Not me. Breathable - Fit for all seasons, especially summer, where your feet perspire the most. Lightweight - For those spontaneous moments where you want to be active. Leather - Most likely to last longer. If you’re searching for shoes online, come across a pair that look decent, and you don’t see any information focused on these areas in the detail section, how else would you know they’re comfortable? Cole Haan does a great job in providing this information through videos and charts. Also, there are hundreds of positive reviews proving them to be true. Leather lining - Conforms to shape of your foot over time, durable and allows air flow. Unlike polyester lining, which is the exact opposite. Padded leather sock lining - So you don’t feel like you’re walking on a stiff piece of wood on every step. Heel height - The higher the more beautiful right? WRONG. It all depends on the arch of your foot and what you can handle. My feet work best under 102 mm (4in/11cm). If it has a platform, all the better. Width - Are your feet narrow, wide, or in between? Do you have bunions? So the condition doesn’t worsen, you might want to try a medium or wide pair. 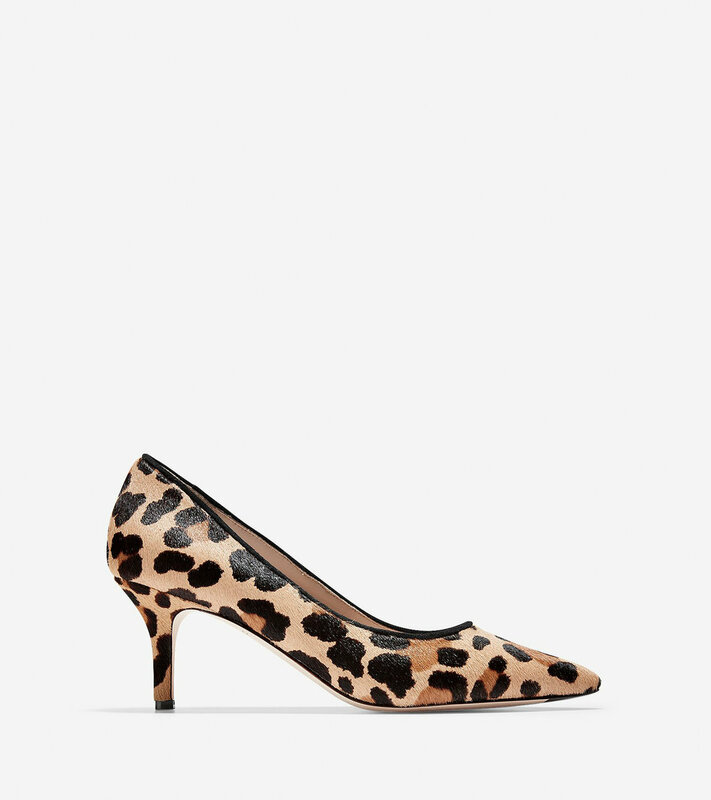 No matter how many times I moved in these Vesta pumps, the heel was sturdy and at the perfect height to keep my feet at ease. Plus the suede material and leather interior was so soft. I have not worn them long enough to form to my foot’s shape, but since they fit so well, I have no complaints. Cole Haan has a good selection of heels from 40mm (1.6in/4cm) to 85mm (3.5in/8.5cm) to fit any height you’re going for. No closet is complete without a classic pair of sneakers and pumps you can wear everyday with no complaints. In browsing Cole Haan’s site, I love how devoted they are in offering both comfort and style for every occasion. For great quality and great prices, these have to be the best pair of sneakers and shoes I’ve ever owned. Get yourself a pair and get free 2-Day shipping using Shoprunner! Click here for your free 1 year ShopRunner membership! Are you sneaker or heel person? Which would you rather wear? Comment below! DISCLAIMER: This post is in partnership with Cole Haan and ShopRunner. All opinions are my own.